2017 is coming to a close and a new year is right around the corner. This time of year is great for thinking ahead and setting goals for 2018. This post is the first of three on chiropractic marketing trends to watch for 2018. By now, most people know that blogging is a great addition to chiropractic marketing. 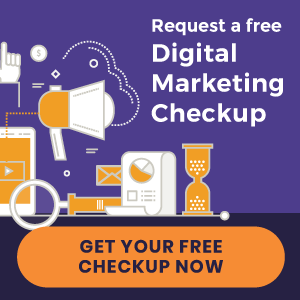 It answers your patients’ questions online, boosts your site’s SEO making you more findable, and sets you up as an authority on chiropractic care. However, blogging is shifting a bit in the online world. Until recently, it seemed all you had to do was write a quality blog post a couple of times a week and Google would do the rest of the work for you. With the increase of content online, it is getting more difficult to stand out and get your posts to the top of the results. But by implementing some new techniques and using the data to your advantage, your blog can still thrive. We’ve heard the adage of quality over quantity when it comes to blogging over the last few years. Stuffing a post with keywords, hitting publish and repeating this same process again the next day no longer does the trick. With the increase in content online, consumers – and search engines – have become more aware of what makes a good post and what doesn’t. In 2018, we will see even more of a focus on quality but with an extra emphasis on expanding blog formats. In 2017, we saw a major increase in videos online. With the accessibility of video formats like Instagram Stories and Facebook Live the demand for video content has grown and this trend is not stopping. In 2018, your patients will be looking for content beyond just words on a screen. By utilizing video, infographics, or audio in combination with your blog posts, you’re sure to stay relevant and ranking. Create an infographic – Although it may seem complicated with all of the pretty icons and graphs, it can be fairly easy to create a simple infographic in Canva. Canva is a free and easy to use website that has infographic templates already put together. Simply put in your information, download the image, and upload it to your blog. High impact with low cost. Use Facebook Live – Most people have a simple, easy-to-use livestreaming device right in the palm of their hands – Facebook. Try taking a quick few minutes at the end of your staff meeting to film a video introducing your staff to your followers and send your holiday greetings. Maybe you could even do a little video tour of the office during some down time. A lot of people don’t realize that you can actually download those Facebook Live videos and re-upload them to your blog. Write a quick few paragraphs about what to expect in the video and press publish – You’re all set. Micro-moments are those questions we all pick up our phone and Google to get a quick answer. 2018 is about thinking beyond the broad research topics around chiropractic care and focusing more on the consistent questions our patients ask. What would we list on a “Frequently Asked Questions” page? Do the answers to these questions take more than a couple of clicks around our site? If so, then maybe it’s time to write out a blog post on the topic. When you’re planning out your posts (see below for more on this), think through the various types of patients – the new patient, the sporadic patient, the consistent patient, etc. Write out topic ideas specifically for each one of those people. What would they Google about your practice? Maybe the new patient wants to know more about the services you provide. 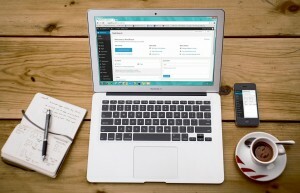 Expand upon the bullet point list on your site by linking to blog posts on each service. The sporadic patient might want to know more about the benefits of consistent care and why it’s important. Write up a series of blog posts on this topic and send it out to your email subscribers. Micro-moments are all about anticipating and answering some of your patient’s most common questions. Prospective patients might search for things like, “Can chiropractic help with carpal tunnel?” or “Is chiropractic care safe during pregnancy?”. Get your staff together to brainstorm some questions they get all of the time and create posts around these topics. To branch out a little more, you could do a Facebook Live to answer a couple of your most common questions. Then, open up the discussion to your followers and get even more content for future blog posts. How long was your typical blog post in 2017? Did you share it on social media? Send out an email to your patients with the link? Did you publish the posts every week or once a month? If you’re not quite sure the answers to these questions, then in 2018 let’s streamline your chiropractic marketing strategy. In 2018, it’s all about being strategic with your time spent blogging. The best way to do this is to document and standardize the process for creating, posting and promoting your blog posts online. Remember how 2018 is about quality over quantity? Well, the research shows that longer, quality blog posts give your site a bigger SEO boost than shorter blog posts and drive more traffic to your page. Try to aim for about 1,000 – 2,000 words and for extra credit, include one of the different types of formats we mentioned above (which will help you get more content into the post without repeating the same things over again). Note: While at least 1,000 words is ideal for Google, write for your audience first and Google second. If what you have to say can be said in 500 words, great. It’s still worth posting. The key to blogging is being consistent. Whether that’s posting every day, once a week or once a month. Pick a schedule that works best for you and your practice and stay consistent. Write out a list of topics and ideas you want on your chiropractic blog (think about those micro-moments), then pull up your calendar and mark out when you are going to publish those posts. Now you know what you’re writing about and when, but in order to get the most use out of your blogs, we’ve got to promote them. Post a link to your latest blog on your Facebook and Twitter profiles. Email it out to your patients. Share on Instagram that you’ve got a new post on the site. Repeat this process for every blog post for consistency and that’s how you standardize your chiropractic marketing strategy. In 2018, chiropractic marketing and blogging is all about engaging more with your community. Use video, infographics, or audio to go beyond the typed words on a screen. Provide quality content that answers your patients’ questions. Plan out your posts and make promotion a step-by-step no-brainer process. Take advantage of the latest innovations online to connect with your patients through a quality, consistent strategy and you’re well on your way to a successful new year. If all of this has seemed a little confusing and you’re just not sure where to start with blogging, then download our free eBook, Blogging for Beginners. The new year is a great time to get into blogging and jump start your chiropractic marketing. « New Chiropractic Websites Just Launched – Envive Chiropractic and more!